September is here and it will kick off my holiday season. 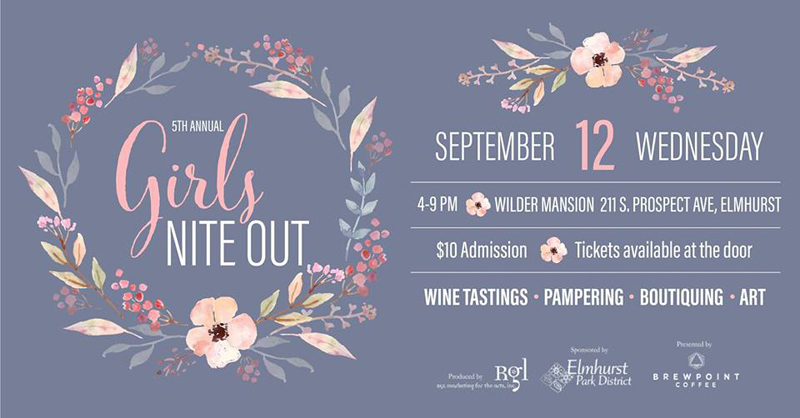 I am working on some Elmhurst angels for Girls Nite out on September 12. 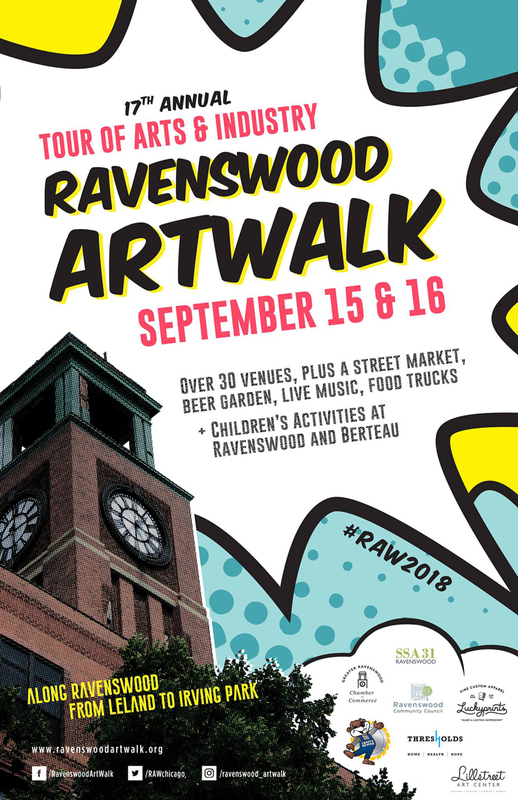 Then I head over to the Ravenswood ArtWalk September 15 & 16. I will be back in the “Atrium Building”, also known as the Hayes Building (same as last year). 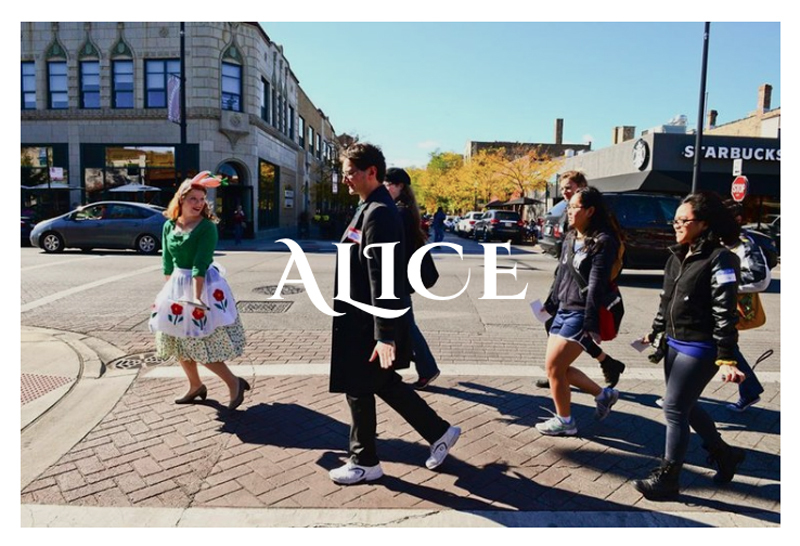 Meanwhile, I am scrutinizing chapter one of Alice in Wonderland for another project that launches September 16. 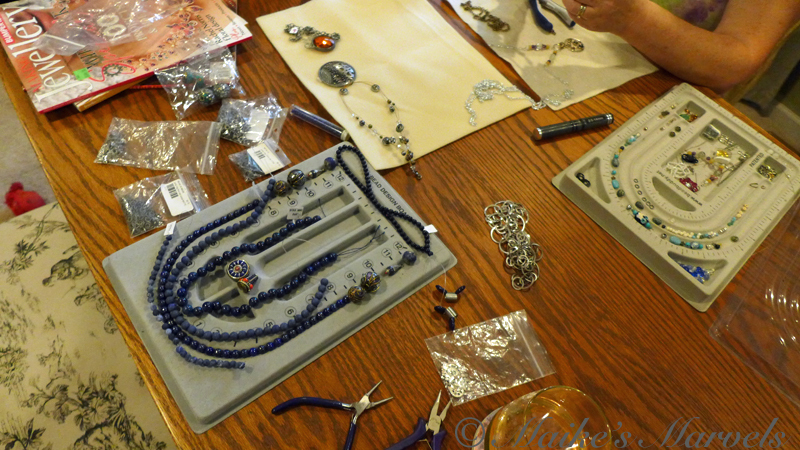 While I feel a bit frenzied right now, I did take time with a friend to bead a lapis necklace the weekend after my birthday. 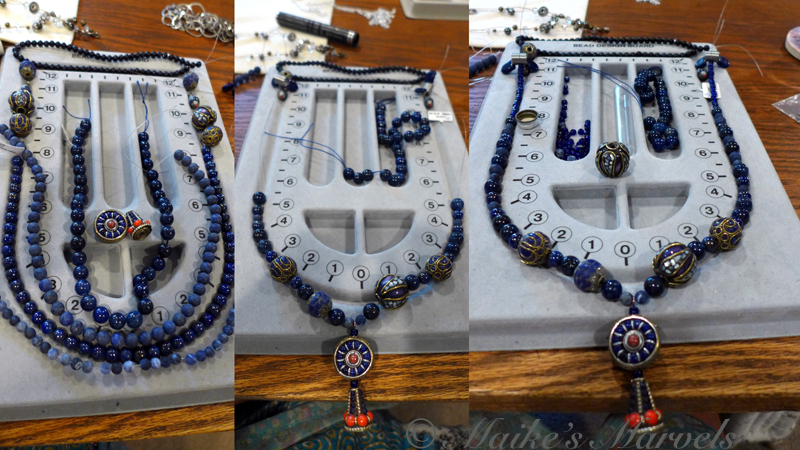 I was inspired by beautiful beads from the Bead & Button show. We designed necklaces before having a lovely barbecue dinner. I had to fix a hole in one of the beads. 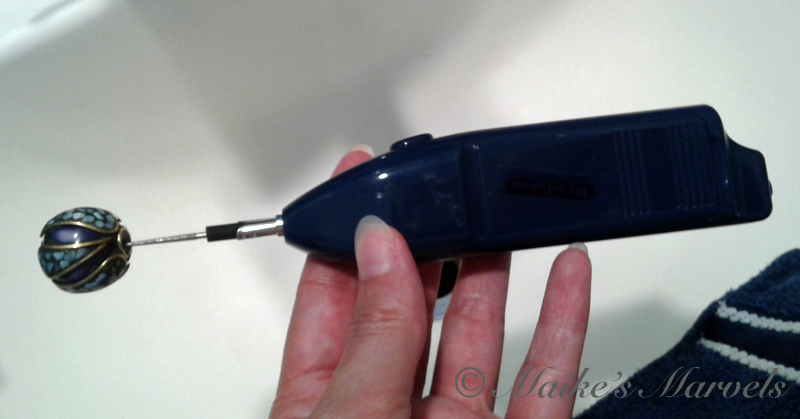 Good thing my cousin just gifted me a reamer for my Birthday! I looked through my findings but don’t have anything to match, so a trip to Ayla’s is in store soon. 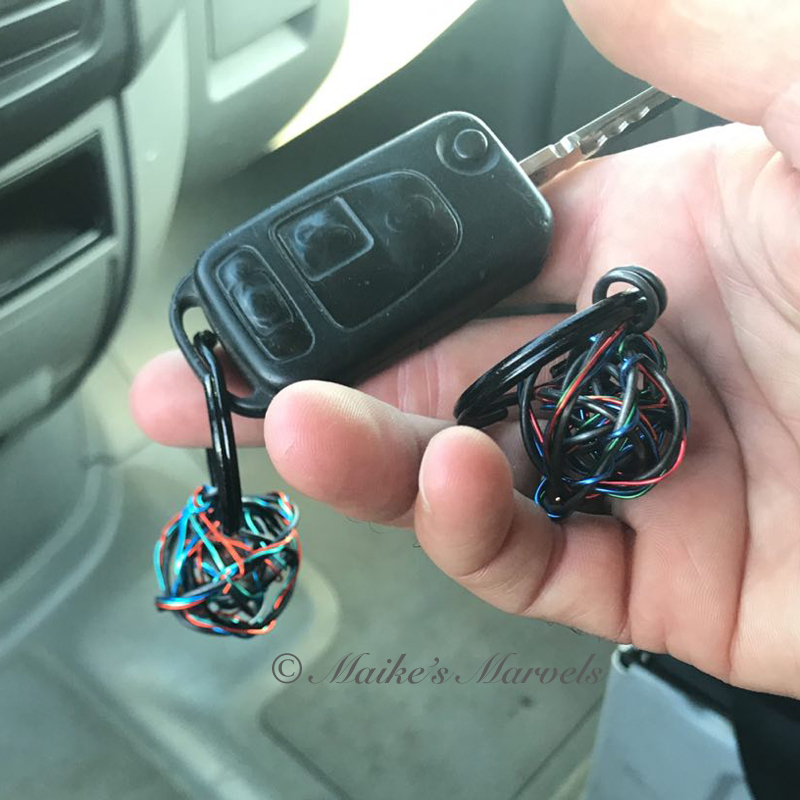 My brother asked me to make him new keychains. He wanted the elements of air, fire and water represented, so we agreed on colors and I wrangled the wire. 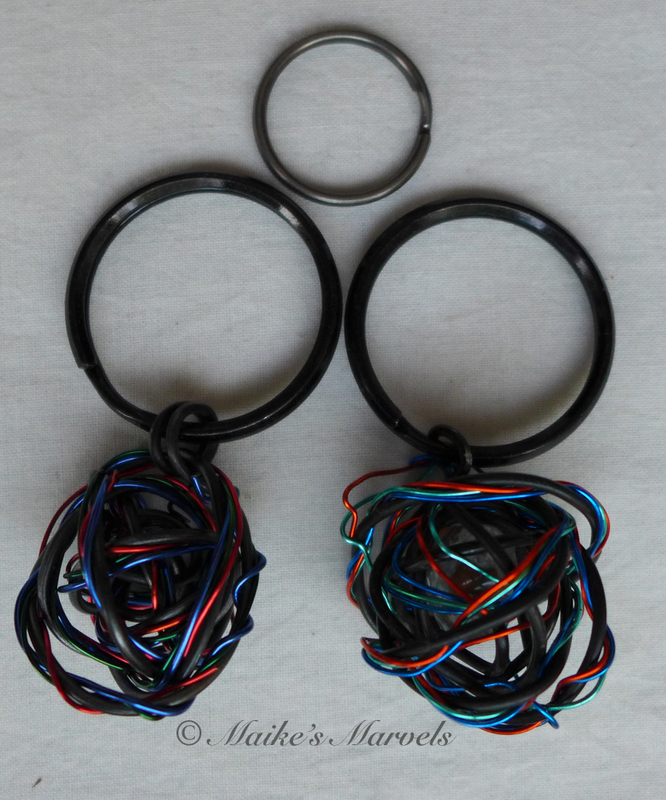 He is happy with the larger size keyring, and I am happy he is enjoying my creation. 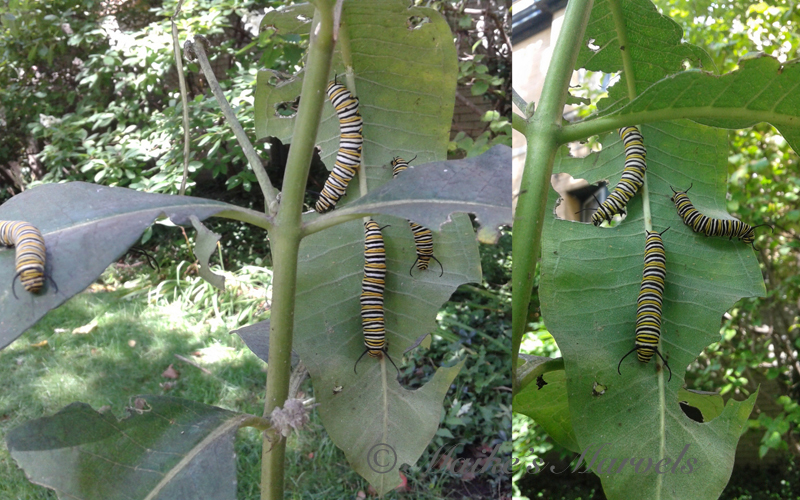 Meanwhile, I am thrilled to see Monarch Caterpillars in my neighborhood. There are numerous Milkweed stations, and I have spotted quite a few monarchs this summer, but no matter how hard I peered I couldn’t spot the caterpillars. 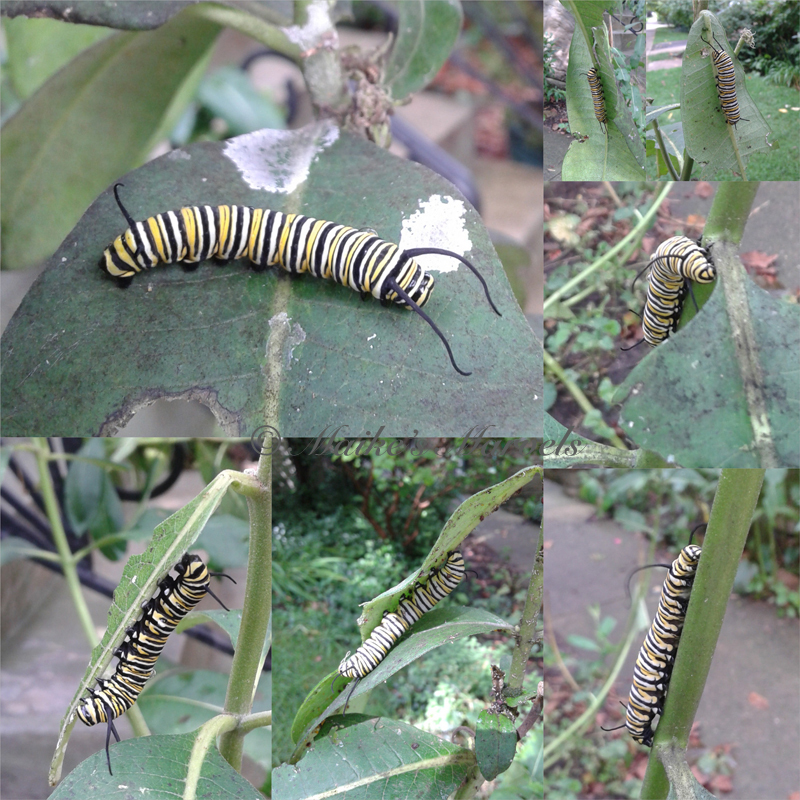 Then the other day I walked by and behold, 7 caterpillars in one small front garden. I am a bit nervous at them being so close to the sidewalk, but it seems they are safe where they are. The next day they had decimated the tops of three Milkweed plants. 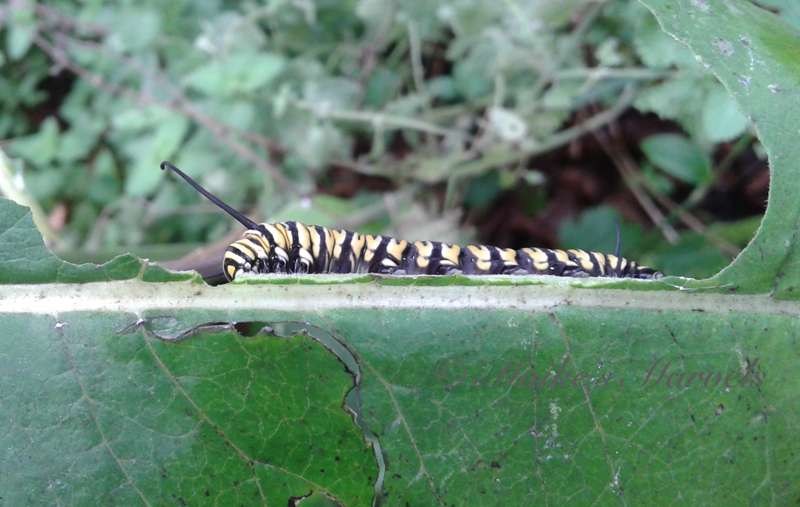 On the third day I spotted a teeny little caterpillar, 1/5th the size of its larger neighbors. I didn’t have a camera with me to document that though. I am so grateful to see the Monarch preservation in action here, and happy my nature-spotting wish came true. I spotted a cicada near the caterpillars as well. 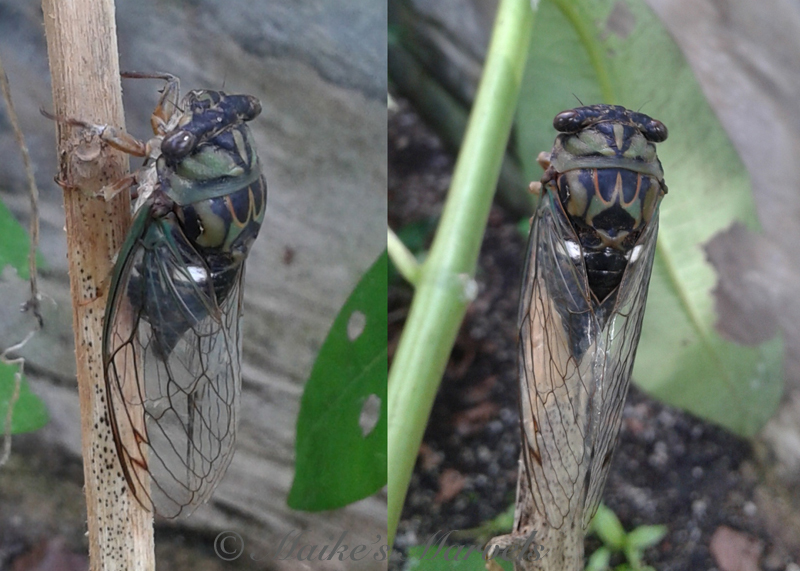 For a moment I worried about the food chain, but the cicada just cared about the plant’s sap. More details on the show venues and artists next week! This entry was posted in Art & Culture, Nature Photography and tagged Beading, Cicada, Monarch Caterpillars, MonarchWatch, September Start, Show Preparations.